Pop your Lower Back on your own - How & When? 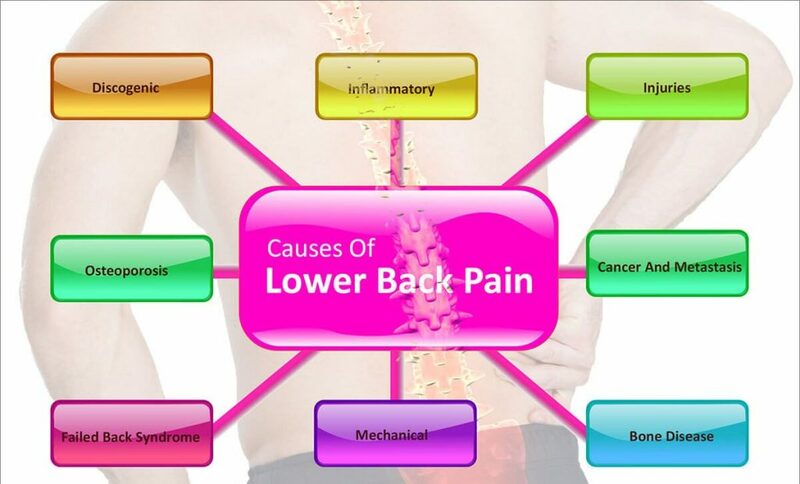 Lower Back Pain is very common these days. And the reason could be anything like sitting 9-5 jobs, fewer body movements or laziness or less exercise, anything. Or, the reason can be a minor or major injury which you are unaware of or maybe it is known to you, but you are not doing anything to treat it. So, in this article, I am going to help you with the ways you can crack or pop your lower back safely at home. We all know that the lower back supports most of our body weight and helps us twist, move, and bend. And, therefore, you should take care of your back the same way you are caring for your body and your skin. Your job involves lifting, pulling, or anything that twists the spine or you are sitting at a desk all day. You are carrying an overstuffed backpack, purse or briefcase over your shoulder. You have had a low back strain before. You do not warm up before your workout or exercise. You are lifting heavy objects with your back instead of your legs. A person sits or stands for long periods or with an incorrect posture. What exactly ‘Pop your Lower Back’ means? Pop your lower back does not mean that you are actually cracking your back. Nothing is breaking, splitting or coming apart in any way. Popping the back is a term which usually involves a particular procedure or movement that leads to popping sound. The movements can include bending forward, or leaning backward or twisting. And, the popping sound is that same movement of air pockets in joints. And it’s the procedures, not the “popping” that eases the pain. When do you need to feel to Pop your Lower Back? The possible reason is when the joints are out of alignment which affects the area around them; it is when you need to feel to pop your lower back. When joint restrictions exist, it’s understood that the surrounding muscles will tighten around that region, which unfortunately increases the stiffness. Popping your back improves the joint motion which leads to decrease the stiffness and likely improve the muscle tension as well. Should you take bed rest during your back pain? This is an undeniable thing that whenever we are having back pain, or even any of our body parts hurt, we do not want to get out of our bed but, if the problem is a muscle strain, even doctors recommend to return to our normal activities. We should know that more bed rest in such a situation can actually make the pain severe and may reduce muscle tone and flexibility. So, it is always advisable not to leave your back inactive for long and start doing some physical activity to strengthen your muscles. What happens when you Pop your Lower Back? The releases of gases are the most common cause of the sound you hear when you pop your back. There is a trace amount of synovial fluid that acts as a lubricant in most of your body’s joints. And, this fluid contains gases like carbon dioxide, nitrogen, and oxygen. The presence of these gases is responsible for the popping noises you hear what you crack your back or your knuckles. So, when you crack a joint, you are stretching the capsule and causing the gas to release at a rapid pace which leads to the relief of lower back pain. How to Pop your Lower Back on your own? Cracking or Popping the lower back can be safely performed at home, provided any pain or discomfort don’t accompany the act of cracking. Here are the following four ways to pop your lower back on your own and that too safely. Lie face-up, flat on your back, spread your arms out flat against the floor and your legs flat, relax your muscles. Bend your right knee, keeping your right foot flat against the floor with left leg remain same. Move your right knee slowly to the left and down towards the floor. It will be best if you can twist your right knee until it touches the floor on the outside of your left leg. 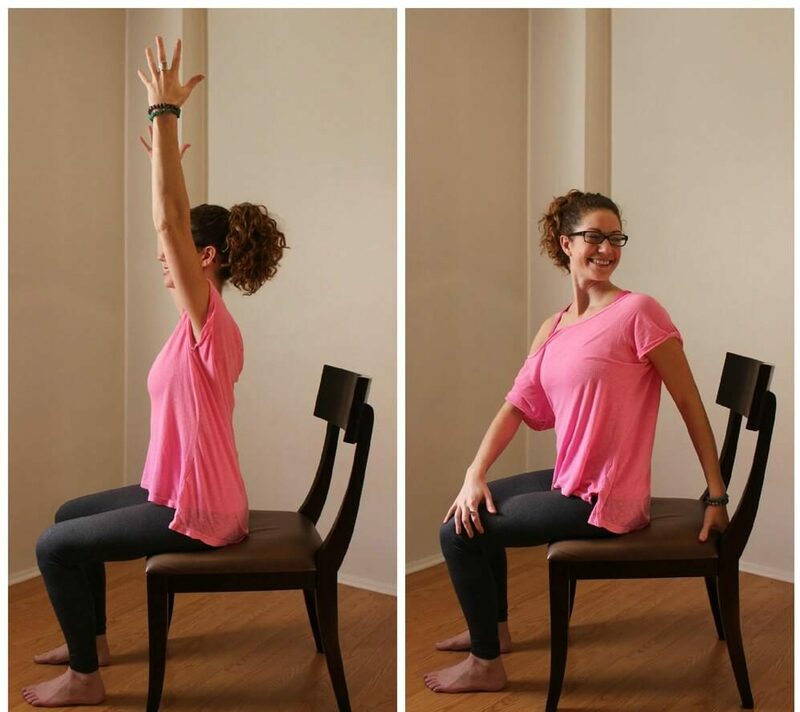 Rotate your head and upper body slightly to the right. Stretch until you feel the crack, or till you reach your comfortable height of flexibility. Repeat the process with your left leg. Though you may hear or feel the pop sound after only stretching to one side, you may find it possible to crack different vertebrae of your spine by repeating the process on the opposite side. Place a foam roller onto a firm, carpeted surface and lie down onto it with the small of your back. Put your legs close together, bend your knees, and hold onto the sides of your knees with your hands. Arch your head up a bit to activate your core muscles. With your back slightly raised and your legs attached to the ground, begin to roll on the foam roller. You can roll by extending, and then bending which creates a see-saw like an effect. Continue the process until your lower back cracks. Get on the foam roller with your back. Bring right thigh up so that it’s 90° to your torso. Your leg should be parallel to your torso. Hold the area behind the kneecap with the left hand. Anchor your free foot and your free hand on the floor and start rolling your lower back. After you feel the pop in your lower back, relax and switch sides. Extend your thigh and leg high into the air so that both are positioned 90° to your torso. Anchor your free foot and your free hand on the floor and begin rolling your lower back. Sit down in a comfortable chair, preferably without armrests. Bend your right elbow and rest it on the outside of the left knee. Turn your torso to the left carefully. No sudden movements. A relaxed and steady pressure is beneficial when trying to crack your back. Once you feel the crack, repeat the process by switching the arms and rotating your torso in the opposite direction. Sit straight with your left leg flat on the ground. Bend your right knee and bring your right leg over your outstretched left leg. Take your left elbow and place it on the outside of the bent right leg. Move your torso to the right, using your left elbow against your right knee as support. Both the ways use elbows against opposite knees as anchors. Once you feel the crack in your lower back, switch the leg & elbows and repeat the process. If you begin to feel any pain during the act of popping your back, stop immediately. Do not pop your lower back more than twice per day. Overdoing this can cause more harm than good. Never attempt to pop your lower back if you have suffered any injury to that area. When you let others pop your lower back, you should keep in mind that they can use more force than necessary or move your body in a different or more extreme direction than they should. And, you will end hurt your back if they don’t know what they’re doing. And it is not at all safe to ask others to stand or walk on your back because it can lead to back muscle injury, spine fractures, or abdominal or pelvic organ injury. When a non-trained person assists in cracking someone’s back, they can [pull, push, or twist] too hard, leading to a muscle injury such as a sprain. Unless you are a chiropractor, you simply don’t know the inner-workings of your body and therefore, the greatest risk in cracking your own back is that it can create hypermobility of the joints, which could lead to increased pain and predispose them to increased weakness at those joints. If you try to manipulate spinal segments without knowledge of anatomy, the proper amount of force to use, ranges of motion, structures of the bones, and the angles involved, then you could end up having fractures, strain or sprain injuries, or neurological damage. So, either you do it yourself by following the above procedures only, or you can see a licensed chiropractor, physical therapist, or osteopath because, under the care of a qualified practitioner, back manipulation can be safe. 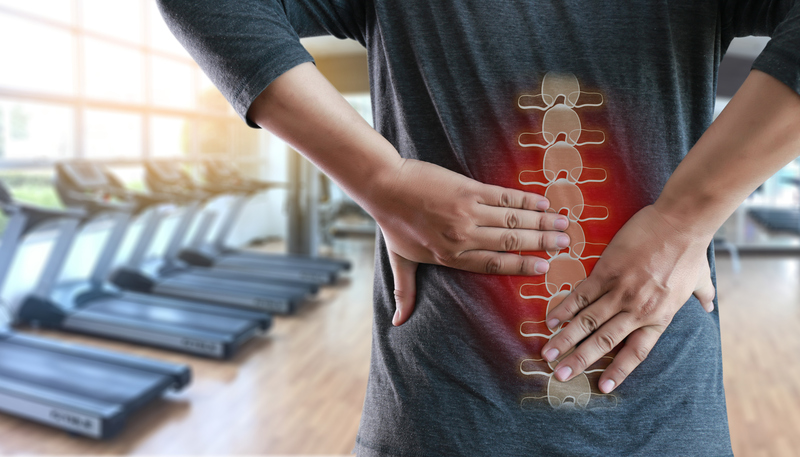 If the pain is constant and you’re craving that “pop” often or you feel the need to pop your lower back, again and again, it’s evident that you are not effectively fixing the problem, and this is the time to call in a professional. Always keep in mind that any professional or healthcare provider you go to should give you a thorough physical examination and discuss possible treatment options before proceeding to any kind of manipulation. A medical professional uses various techniques for spinal adjustments like stretching, therapeutic exercise, physiotherapy, nutritional changes, and possibly other clinical interventions. And, if you are having an expert manipulating your back and you don’t hear a pop sound, it doesn’t mean your treatment wasn’t effective because they have their own ways to treat you. A doctor can also help in improving your own flexibility and make it easier for you to stretch when you are on your own. Ultimately, if you feel good when you pop your back, you’re fine to keep doing it. How can you prevent low back strain? To keep yourself happy and healthy, some are the simple things you should start doing right away. Use correct body postures or movements. Try not to sit for long periods and if you have to, sit in a straight-backed chair with your feet flat on the floor. Always bend at the hips and knees when you pick up objects. Do not bend from the waist. Instead of using your back, use your leg muscles as you lift the load. Warm up before you exercise. And, do exercises regularly that strengthen your back muscles. So, the above-shared piece of information was effortless to follow in your daily routine to keep you healthy. Do not neglect your health and always discuss treatment options with your healthcare provider. You can always refuse the treatment if you do not feel it correct as you have the right to help plan your care. Take care of your body. It’s the only place you have to live in, and nothing looks as good as being healthy feels.